Hi everyone! Hope you all had a lovely Christmas and New Year! This is my first post in 2013 and the first post after quite a long silence over here. I had the reasons for that silence, but hope not to do so again. In fact I really hope to post more often in 2013. Anyway, I've started this year with a crochet hook in my hand and allready have two little projects finished. 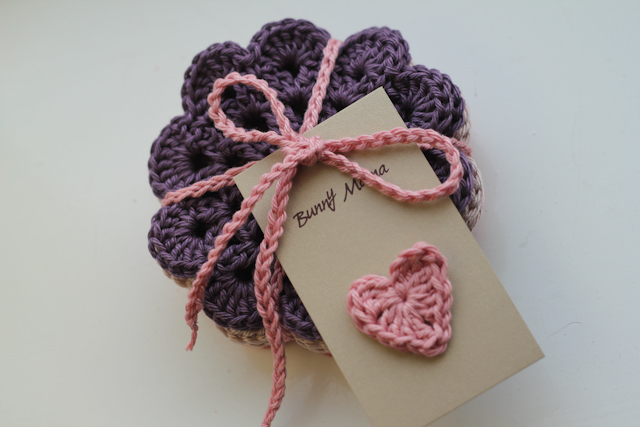 The first project was a set of coasters as a gift to one lovely lady. In fact I saw a wonderful picture on Pinterest and was immediatelly in love with what I saw, so I wanted to make the same. And then I found the original pattern with a picture and was complitelly shocked about the fact that they look soooo different. Which made me thinking of how our choice of material and colour can change the look of our finished works. Honestly, if I saw just the original pattern picture I wouldn't probably even look at it and wouldn't like to make something of the same kind for shure. See the difference? Well, that is why I wanted to show it. The material and colour can really change the look of your work and make it beautiful, modern, professional or it can make your work boring and unattractive. 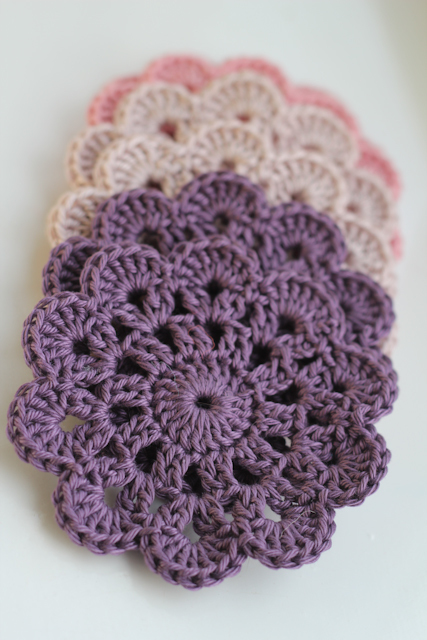 By the way, my coasters are made from mercherised cotton (DK) using 3,5 mm crochet hook. 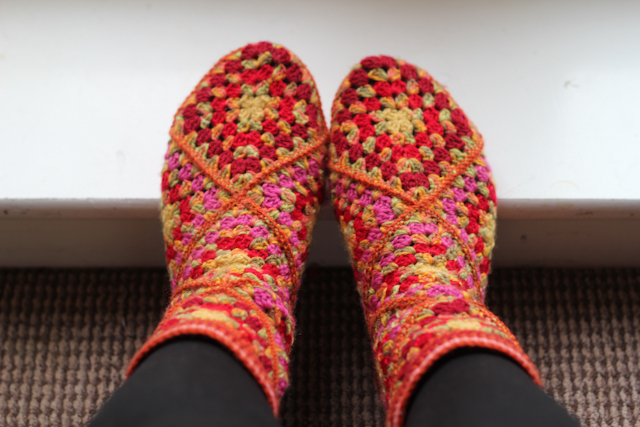 Ok, finished with the first little project and now it's time for the second one - my super funny granny socks. As my feet were freezing for a while and the floor in our living room, dining room and kitchen is really cold I was dreaming of a pair of socks for myself. But between October and December I knitted so many socks (2 pairs for my husband, 4 pairs for my little man, 3 pairs for sale), that I just felt sick thinking of knitting one more pair. I needed a break. But I needed some socks too. And then just by accident I found a video on YouTube about how to crochet socks from granny squares. I thought it could be a nice option for me and after a little search on-line I found a webpage with all the information I needed: the patterns for squares and a super long video showing how to crochet it all. Sadly, it's all in Russian, but if you can read the crochet charts I'm shure you can make it. But! It all looks easy, and it is easy in fact, but takes a while to make. My socks took 5 days (the usuall knitted pair would take 2-3 days to finish) and you will need about 150g of yarn, or may be a bit more (mine took 160g). Still it's a good option for those who can't knit or for crochet beginners. May be I'll even make an English tutorial on how to make this socks... We'll see how it all goes. Have a nice day with lots of sunshine! Дашуль, такие штучки прекрасные создаешь - я восхищаюсь!! Так держать!